Finally our last stop was the Immaculate Conception Church, a Roman Catholic cathedral adjacent to Plaza Cuartel. 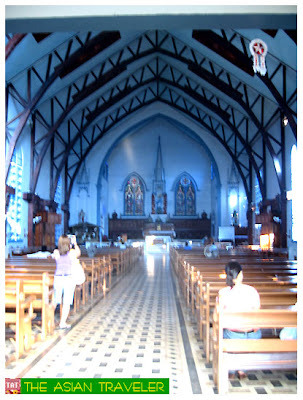 This is probably the biggest and the oldest church in Puerto Princesa. 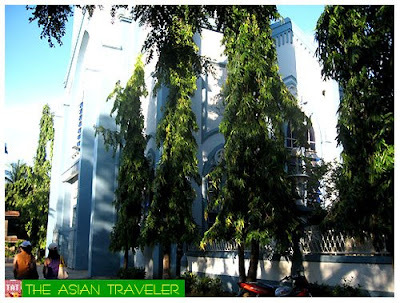 It is approximately 5 to 10 minutes away from the city proper located in Barangay Liwanag, Rizal Avenue. 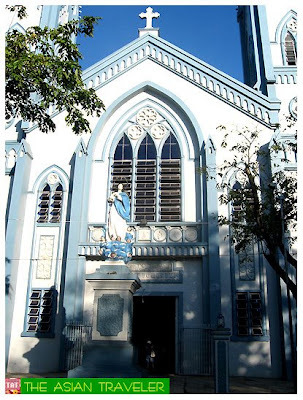 The exterior of the church bear alternating colors of blue and white paints. Beautiful glass and stone work can also be seen. Service is conducted every Sunday. 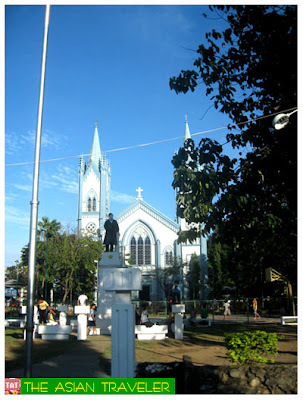 It is said that in the year 1872, a Spanish expedition proclaimed the Immaculate Conception of Mary as the patroness of Puerto Princesa. 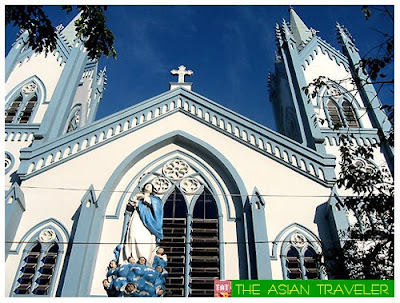 Then a century later in 1961, the present church was erected under the late bishop Gregorio Espiga. The angular structure made this cathedral different from most conventional churches in the country. The tour then concludes in the city proper. Everyone in the group got dropped off at their hotels.